You are purchasing a 15ml bottle of: Ever After - Don't you wish love could last forever? Now, it can. With our super romantic polish "Ever After". We packed as many hearts as we could into this one and sprinkled it with a little magic. Perfect for a fun date or if you need a little "Oomph!" 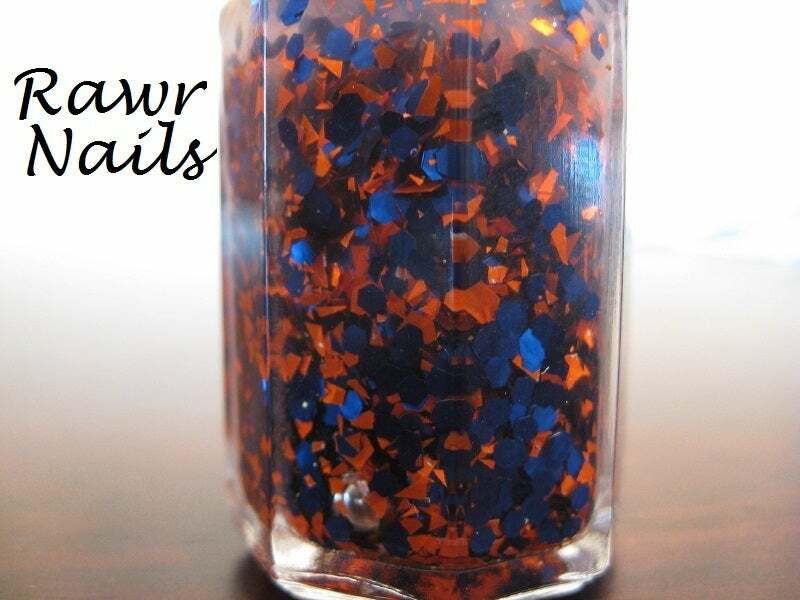 At Rawr Nail Cosmetics, we know the importance of making sure your nails look *great*. That's why we handcraft our polishes with unique blends of pigment & glitters to channel your inner diva. Our designs are flirty, fierce, & fabulous! Take a walk on the wild side with us and find your color today! Because our motto is "healthy nails = healthy life", we make sure our polishes are crafted with only the safest suspension bases around. Unlike many mass-produced nail polishes, ours are free of harsh chemicals like Toluene, Formaldehyde and dibutyl phthalate. Shipping: Due to shipping laws, we are only able to ship within the contiguous U.S. (lower 48 only) and via Ground. Have an upcoming wedding, prom, or special event? We can make your own custom nail polish color! Just drop us a message with your ideas and we'll work with you from there.